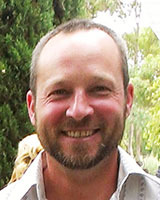 Henry Rutherford is the current President on the Executive Committee of the Weed Management Society South Australia (WMSSA). He is employed with Natural Resources Adelaide and Mount Lofty Ranges as their Urban Animal and Plant Control Support Officer. Henry’s employment and his involvement in the WMSSA sees him deliver messaging on weed science to wide and diverse audiences, an experience he enjoys. With an interest in evolutionary biology, Henry looks to understand how adaptive plant strategies take advantage of the disturbed systems found in our modern modified environments. He works to create a picture within weed management ideals that helps people acknowledge where their behaviours are driving weed impacts with the outlook that some ecological process can’t be managed whereas human actions and behaviours can.